This entry was posted in Hazardous materials on 2019/04/17 by Susan. WorkSafeBC regularly revises Occupational Exposure Limits (OELs) for chemical substances. Manganese was one chemical substance discussed at the last review. Potentially harmful chemicals are present in many workplaces. So how can employers know how much chemical exposure is too much? That’s where Occupational Exposure Limits (OELs) come in. To learn more about OELs, I spoke with Mark Teo, senior policy advisor at WorkSafeBC and the chair of WorkSafeBC’s OEL Review Committee. To help employers understand how OELs apply in their workplaces, WorkSafeBC publishes a guideline (G5.48-1) that provides background information on chemical exposure. It also links to the Table of Exposure Limits and to a policy on exposure limit exceptions. WorkSafeBC regularly reviews and updates OELs — a thorough process that involves getting feedback from different stakeholders, including employers, workers, and WorkSafeBC subject matter experts. The availability of air-sampling methods that can accurately and reliably measure the concentration of contaminants in the air. A review of adverse health effects documented in epidemiological peer-reviewed studies. Implementation issues — in other words, is it feasible for employers and workers to comply with these OELs? For more information about how WorkSafeBC determines and reviews OELs, see Regulating Chemical Exposures (OELs) on worksafebc.com. Mark tells me that manganese was the most-mentioned substance during the last OEL review. It’s a heavy metal, often encountered in welding and other metalworking processes. “When workers do things like grinding or welding a metal alloy, there’s a very good chance they will be exposed to manganese in some form,” says Mark. After its recent review, WorkSafeBC decided on a new OEL for respirable manganese. Mark explains that “respirable” particulates are so small that they can deposit and settle deep in the gas-exchange region of the lungs. Manganese is also found in batteries, fireworks, matches, porcelain, fertilizers, and many other products. Prolonged exposure can lead to damage to the lungs, reproductive system, and central nervous system — health effects the new OEL will help prevent. 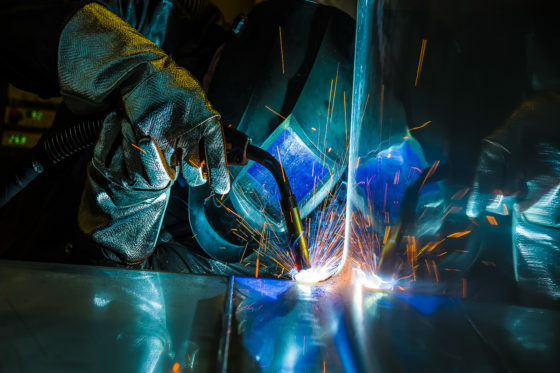 For more information, see WorkSafeBC’s page on Welding gases & fumes.